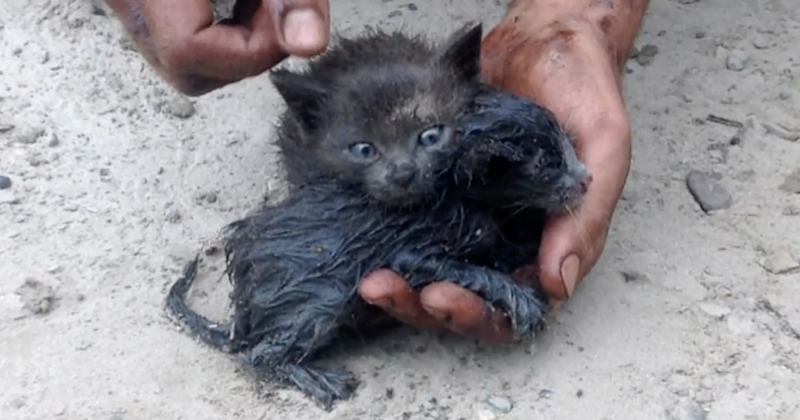 These poor kittens were desperately struggling to free themselves from a terrible oil spill. When an oil spill happens, it’s not just the environment that gets ruined, but it’s also the animals that get affected. Sadly these two kittens ended up being the latest victims of this terrible Russian pipeline explosion. When they were caught in the spill, they could hardly get out and were drenched in thick black oil.